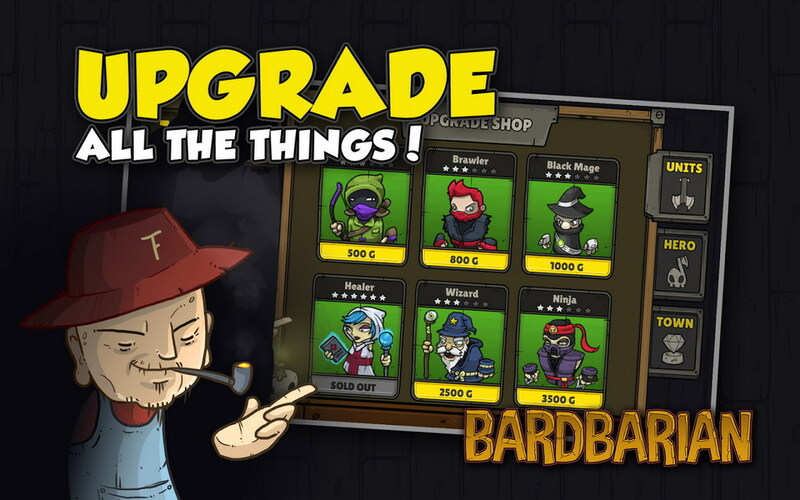 Mobile games are launched almost every other day on the Android platform, but its not everyday that you come across one that mixes a couple of genres and transforms it into something that’s spectacularly fun and entertaining. 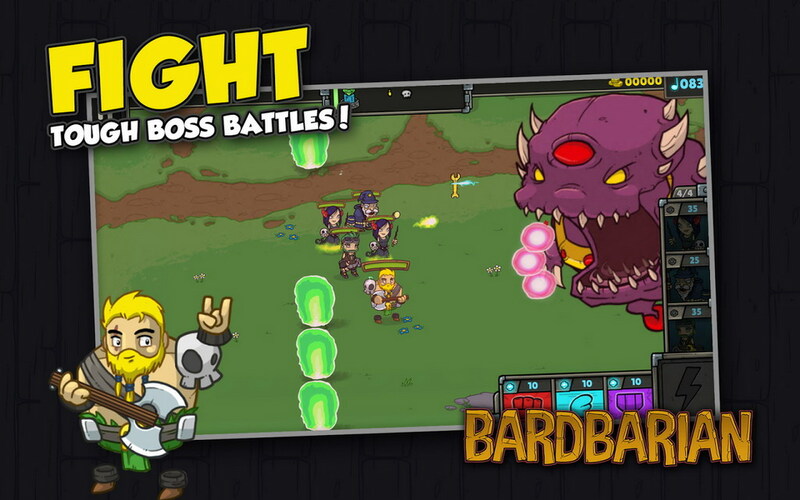 TreeFortress Games have managed to successfully do that in their latest venture Bardbarian. In this tower defense game which is also part RPG and part shoot ‘em up, you play Brad, the barbarian who has turned sick of his boisterous ways and wants to simply chill out with his new toy, a heavy metal lute. However, when his village comes under attack from goblins, undead and various other creatures (who want the village crystal), he must use the power of his music to inspire the villagers to take on the task of defending their hometown. The music from the lute generates notes which are used to recruit village warriors such as archers, mages, and brawlers, all of whom run around frantically warding off the enemies. 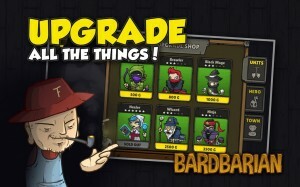 The notes can also be used to buy temporary power ups that will improve your movement, speed, and overall defense. 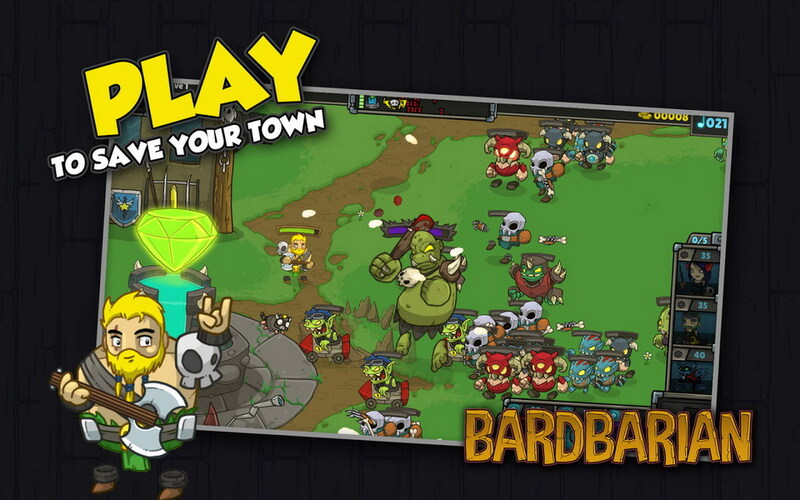 The action in Bardbarian is fast and frenzied and with 12 unique units to unlock, over 8 enemy types to deal with, 21 waves of attack, and 4 epic boss battles to handle, there’s plenty to play for, just in the Story mode. Players can also take a little diversion with the Endless and Survival modes and sign in to Google Play Games Services for head banging with friends. The game’s graphics are splendid, the music from Maximum Satan refreshing and the price, unbelievably good at $0. Yep, its free and all you need to do to get a piece of the action is hit the link below.